The future of engineering education is open to everyone who has a willingness to learn, discover, and do. One of the most potent ways MIT can make an impact on the world is to share its knowledge and expertise as widely and openly as possible. By creating dynamic learning communities that engage experts and amateurs alike, we hope new ideas and insights will emerge. For those who want to get a peek into what happens inside MIT’s classrooms, maker spaces, labs — and every place in between — digital tools have opened the doors. Through the Office of Digital Learning, learners and teachers alike can find a vast range of open resources and other educational opportunities. 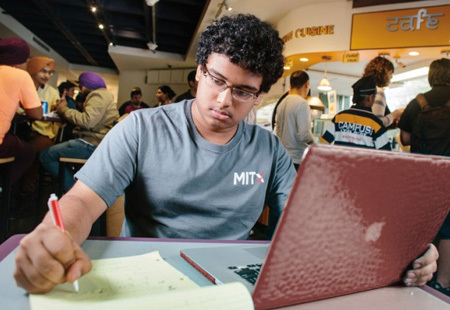 MITx and our OpenCourseWare platforms offer anyone with an Internet connection the opportunity to delve into a variety of academic experiences. K–12 videos ignite and excite the curiosity of younger students. Digital learning technologies offer new insights into learning and instruction for educators. We also partner with universities and governments to design and develop new curricular programs, promote STEM literacy, and build workforce capacity.